Atlanta, GA (May 8, 2018) – List Partners, a B2B information services and consulting company specializing in the advertising space, announced today the acquisition of agency search consultancy AAR Partners. AAR is one of the most in-demand, active agency search consultants in the country, having most recently conducted Agency of Record (AOR) searches and relationship optimization engagements for companies such as Ancestry.com, ClearChoice Dental Centers, El Pollo Loco, Aruba Tourism Authority and many more. The combination of these two companies, along with a merging of their respective data intelligence platforms, Winmo (List Partners) and Access Confidential (AAR Partners), will for the first time bring together a prospecting data center and agency search consultancy under one roof. With a shared vision of modernizing the search process, these data and consultancy powerhouses will provide CMOs an unprecedented vantage point from which to see – and search for – best-in-class service providers across the entire marketing ecosystem. A B2B information services and consulting company, List Partners LLC. is at the crossroads of Media Properties & Publishers, Agencies and Management Consultants, Marketing Technology Firms and those in the Sponsorship and Entertainment categories. Focused on forging profitable, long lasting relationships within the advertising industry, List Partners’ umbrella of intelligence technology solutions and client services have been built on over two decades of experience. Continually recognized as one of the most progressive and fastest-growing private companies by Inc. 5000, List Partners is home to well-known brands like Winmo and Catapult New Business as well as legacy brands, The List Online and AdDataExpress. 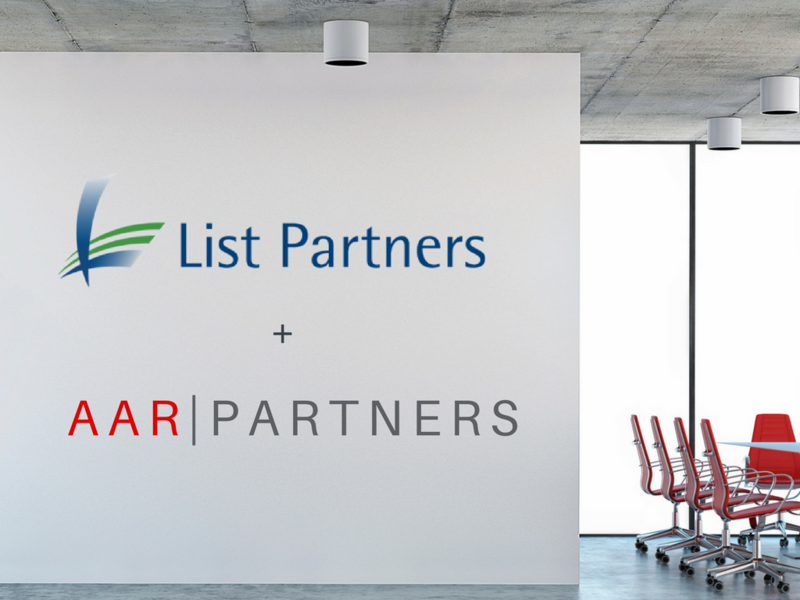 To learn more about List Partners, visit ListPartnersLLC.com. An agency search consultancy specializing in “Creating smAARt Relationships Impacting ROI” since 1980, AAR Partners prides itself on identifying the most appropriate communications agency for client needs. The veteran team has counseled more than 1,500 marketers over the years and are proud to say that AAR’s forged partnerships not only outlast the industry average, but also impact brand valuation. To learn more, visit AAR Partners. Jennifer Groese, VP of Marketing, List Partners LLC.